Standing desks give workers a great alternative to sitting down all day and many companies use them to provide increased energy and productivity in the workplace. 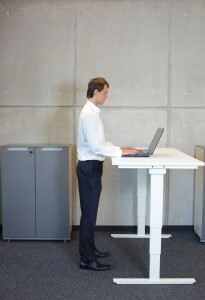 However, another benefit of standing desks is that they allow you to perform a range of exercises while you work. 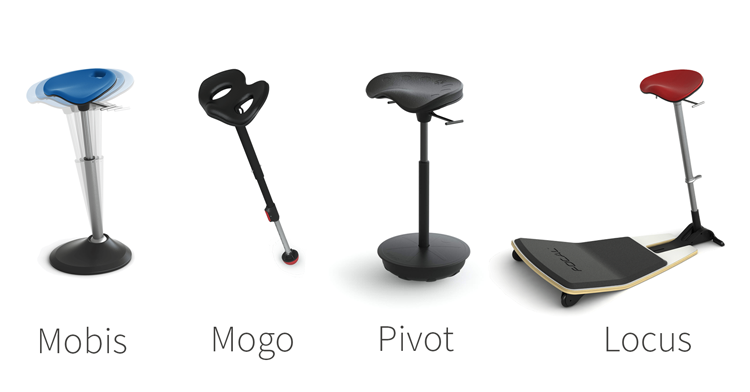 Instead of confining you to a chair, they give you more freedom and range of motion. In this post, we’ll give you 5 of the best standing desk exercises you can do to stay active at work. Keep aches and pains at bay by adding these exercises to your routine. Even avid gym goers often forget to exercise their calves. Don’t neglect yours. Give them a good workout by performing this easy exercise at your desk. Stand with both feet flat on the floor, hip-width apart. Raise your heels off the floor by standing on your toes and hold this position for a few seconds. Then, slowly bring your heels back down and repeat. To make it more challenging, you can try doing one leg at a time. Getting down on the office floor to do push-ups might seem a little inappropriate for the workplace. Plus, who knows how dirty that floor is. You can get a good upper body workout by doing desk push-ups while standing. Start by placing your hands on your desk, shoulder-width apart. Stretch your legs out straight behind you, keeping your back straight and your core tight. Then, lower yourself down until your chest touches the desk, and push back up again. Do you want to get your heart rate up and burn off your lunch? You can burn up to 300 calories an hour just by marching in place. As well as getting your body moving, this will also stimulate your brain. If you have trouble staying focused and getting over that mid-afternoon slump, this exercise should perk you up. Back pain is one of the most common complaints of people who work in offices. You can ease the discomfort by performing this simple standing desk exercise as part of your routine. Bring one arm across your chest. Use your other hand to pull your arm across, placing it just above the elbow. Hold for a few seconds and then change sides. This exercise will help to strengthen your adductor muscles and stabilize your core. From a standing position, simply raise one leg out to the side. As you do so, keep your toes pointing forward. Hold it for a few seconds and then change sides. If this is too easy, try doing it with a resistance band. Standing desk exercises are a great way to keep you active, focused, and alert at work. As well as being more comfortable for employees, they’re also beneficial for a company as a whole. That’s because they make people more productive. That’s not all you can do. To make your workplace more effective, there are several ways you can rearrange the office. To find out what they are, read our post on office setups for increased productivity. Are you tired of feeling burnt out, unproductive, and just plain uncomfortable at your desk all day? Have you tried everything, only to see no change in how you feel by the day’s end? Try the latest office trend – a standing-height desk! There are many benefits of standing-height desks, here are 5 reasons you should have one in your office. Let’s be honest. When you’re spending all day sitting at your computer, it can be easy to feel sluggish. Before you know it, you’ve spent your entire morning scrolling through your Instagram feed and Facebook account – and yet somehow, you still feel exhausted. A standing desk can help to boost productivity because it ensures that you don’t get lethargic. Instead, your mind will be more clear, you’ll be less prone to distractions, and you’ll be able to take sitting breaks that refuel your mind instead of draining your energy. With the average American worker spending an average of 7 hours out of every work day at a computer, there has been a rise in “computer hunch.” This is the curve in your spine and poor posture that develops from spending your day slumped in a chair, with your shoulders tensed and your back arched.Over time, this can lead to serious medical issues, as it puts added, consistent pressure on your neck and spine. 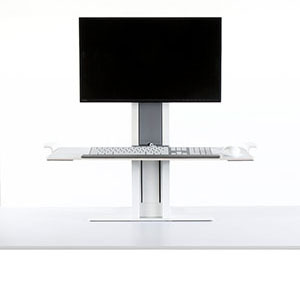 A standing height desk prevents this, as you’ll be able to keep your back straight all day long, won’t have to hunch to see your screen, and can relax your shoulders. Believe it or not, a standing desk can also help to prevent serious health issues, like obesity and even type 2 diabetes.When you sit for a long time, your body doesn’t get enough insulin, and the fasting blood glucose levels in your body will dangerously rise. More shockingly, another 7-year study showed that for every additional hour you spend sitting every day, your life expectancy decreases by 11%. 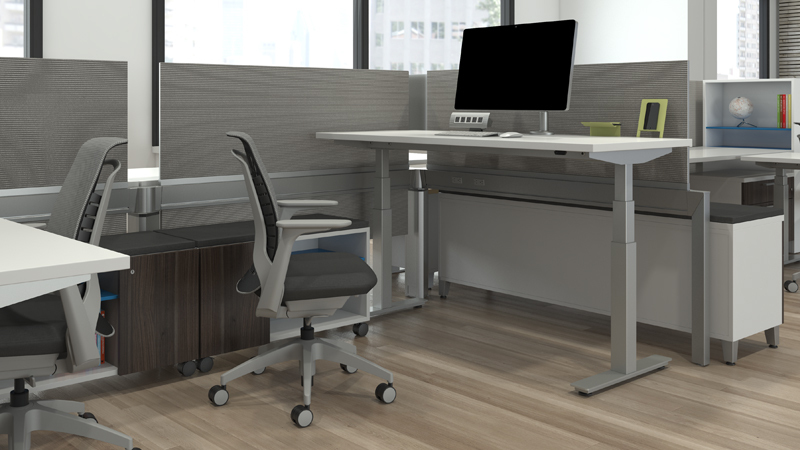 This is a more practical benefit to getting a standing desk – having more room in your office! As companies are hiring more and more employees, office space becomes a little too close for comfort. Getting standing desks leaves employees plenty of room to walk around and work without feeling crammed into the office space. We’ve all experienced that mid-day office slump that makes us feel as though we could hit the floor and nap at a moment’s notice. What if you could eliminate that, work through it, and have enough energy to go out after the workday ended? 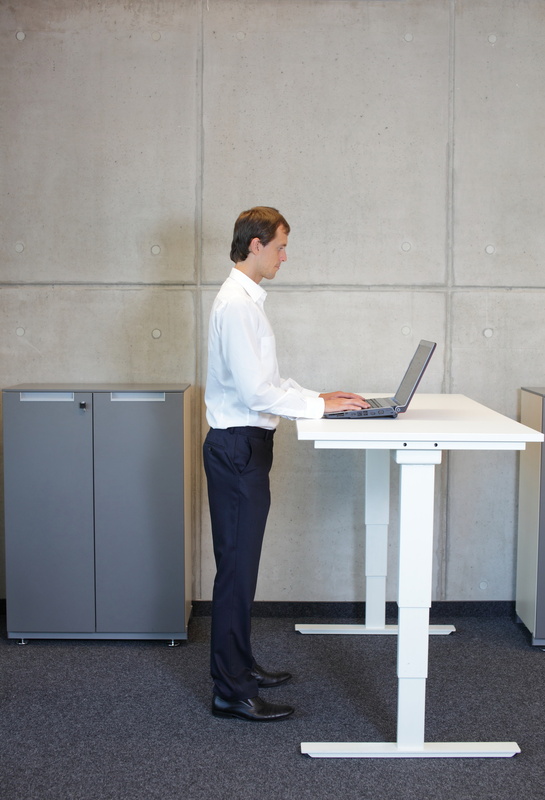 A standing-height desk engages your entire body, so you won’t feel exhausted at the end of the day. Ready To Get Your Own Standing Height Desk? Thanks to this post, you now know just some of the benefits associated with a standing height desk. Whether you work from home or in an office, a standing desk will help you to get the most out of your workday. Want to pick up your own? Visit our Fort Wayne office furniture showroom to try one out! Is Your Desk Job Bad For Your Health? If you are like most Americans, you are likely suffering from a disease you maybe didn’t even know existed. What experts now call “sitting disease”. 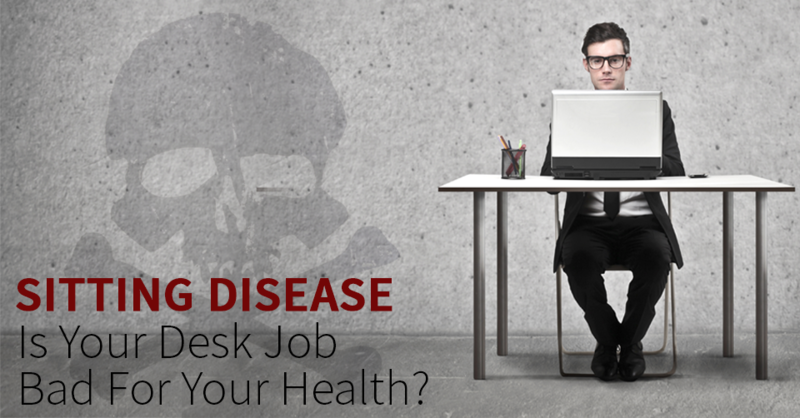 This disease afflicts many people who work in traditional work environments where many hours are spent seated at a desk or in front of a computer. How many hours do you spend each day sitting at work? Add on the hours you spend driving, eating meals, using technology, or watching TV. The Mayo Clinic says that 50-70% of Americans spend 6 or more hours every day just sitting down! 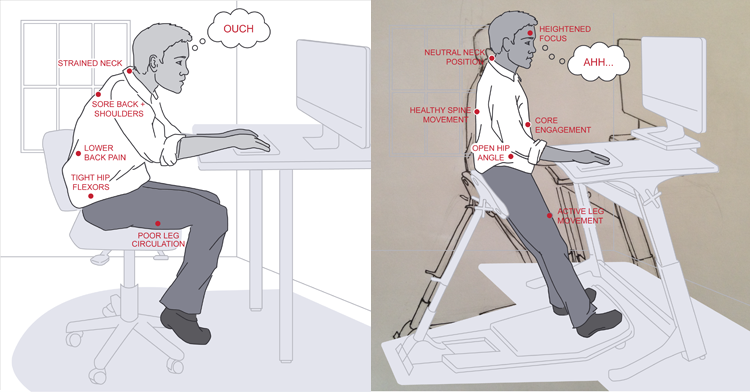 How can you ward off the dangerous risks of sitting disease? Fortunately, even a moderate increase in physical activity is proven to effectively fight these health risks. park further away from your office building, the restaurants you go to for lunch, the grocery store, etc. 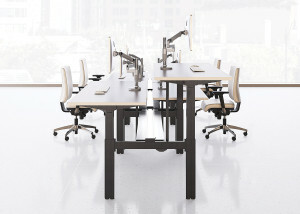 You may also consider a standing-height desk or a “sit-to-stand” adjustable desk. Researchers say that the almost undetectable muscle movement that occurs while standing is as good as, or better, for our bodies than bouts of exercise between long periods of being sedentary. Studies show that people who stand while working move around more and get the important health benefits needed to combat sitting disease. The positive effects of becoming more active can be profound. According to a Stanford University study, workers who used sit-to-stand desks were 78% more likely to report a pain-free day. Visit the Workspace Solutions office furniture campus in Fort Wayne to talk to our furniture experts to learn more about healthier ways to work and avoid the dreaded sitting disease! 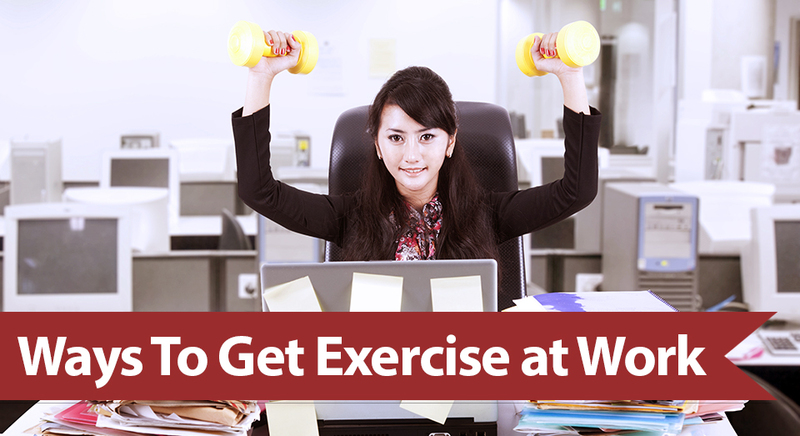 How to get more exercise at work and keep your New Year’s resolution. 2015 is here, and for many of us that means a chance to start over. This time of year, New Year Resolution’s are on many people’s minds. It’s time to give up some bad habits and pick up some great new habits. For many, a popular resolution is to get rid of a few extra pounds, eat better, and do a bit more exercising. Working in an office environment can often make it easy to pick up some bad habits when it comes to your health and fitness. Keep your New Year’s resolution with these tips on how to incorporate some healthy habits into your work day. Your morning commute to work can be a great way to add some extra workout into your day. If you live close enough, ride your bike! If you take the bus, get off a few blocks earlier, and walk the rest of the way. If you drive, parking your car on the far end of the lot can be a great way to squeeze in some extra steps throughout the day. Avoid uncomfortable elevator small talk, while getting some cardio! What’s not to love? Simply switching to the stairs can be a great way to add some exercise to your day. After you’ve mastered the stairs, try taking them two at a time! Rather than taking short coffee breaks throughout the day, take some short breaks to get in some extra exercise. Climb up and down the stairs a couple of times, just for fun. One disadvantage of working in a fast-paced office environment is that sometimes you’re not left with much time for lunch. It can be tempting to go with fast food – it’s quick, it’s cheap, it’s tasty. Rather than eating a fatty, calorie loaded lunch, bring a few small healthy snacks to eat throughout the day, along with your smaller, healthy lunch. Digesting foods more frequently will help to speed up your metabolism. Rather than simply packing your lunch in the morning, pack enough food for the entire day. Bring an apple for a mid-morning snack, and some carrots for an afternoon snack. During any down time you might have, use this as a chance to squeeze in some quick workouts. Waiting for the copier to print off your 50 page report? Don’t just stand around waiting for it – use this time to do some squats. Stand with your legs shoulder width apart, and slowly lower your body, bending your legs so your knees make a 90 degree angle and your thighs are parallel to the ground. 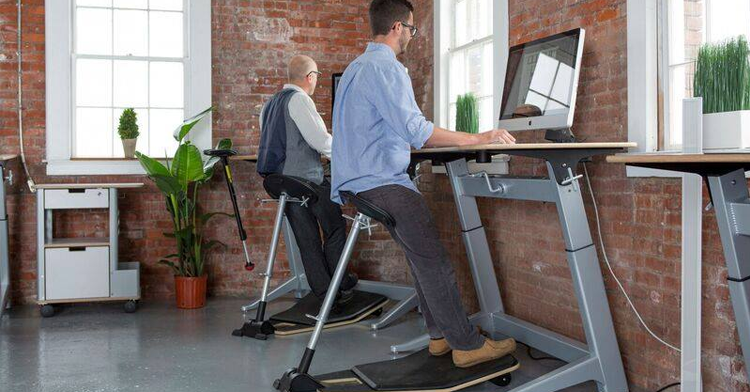 You can even squeeze in some workouts while seated in your office chair! Next time you sort through your flood of morning emails, try slowly lifting your legs to an extended position. Hold that position for a few seconds, and then slowly bring your legs back down without letting them touch the ground. Repeat. This is a great, simple ab workout that can be done sitting down at your desk, while actually working! If you don’t want to commit to standing eight hours per day at work, Brent Stoller suggests Quickstand by Humanscale. 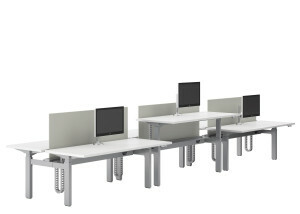 The Quickstand clamps right to your existing desk and is easily adjustable allowing you the option of sitting or standing while at work. For more information on whether or not a standing desk is for you, check out Standing vs Sitting Desks.